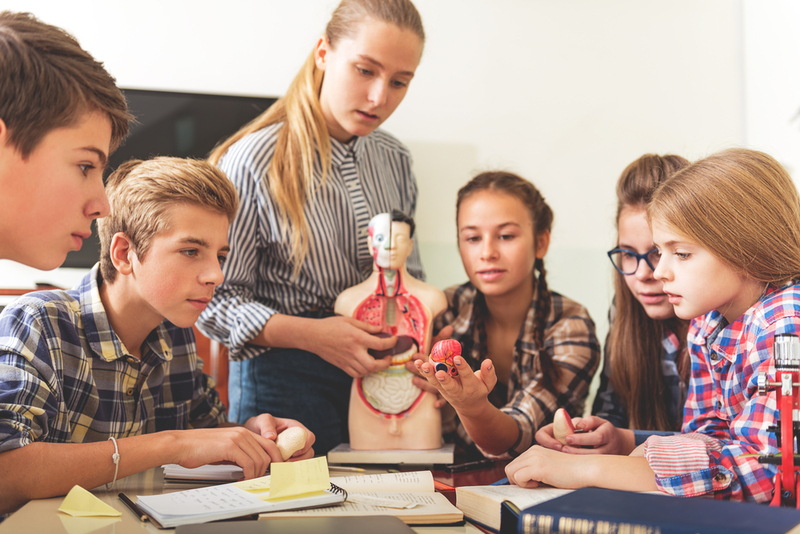 A common goal of many innovative approaches in education is to maximize student learning in and outside of the traditional school day, classroom or even campus. Cutting-edge school leaders seek to capitalize on the learning already happening in and outside of school while simultaneously creating new extended learning opportunities. 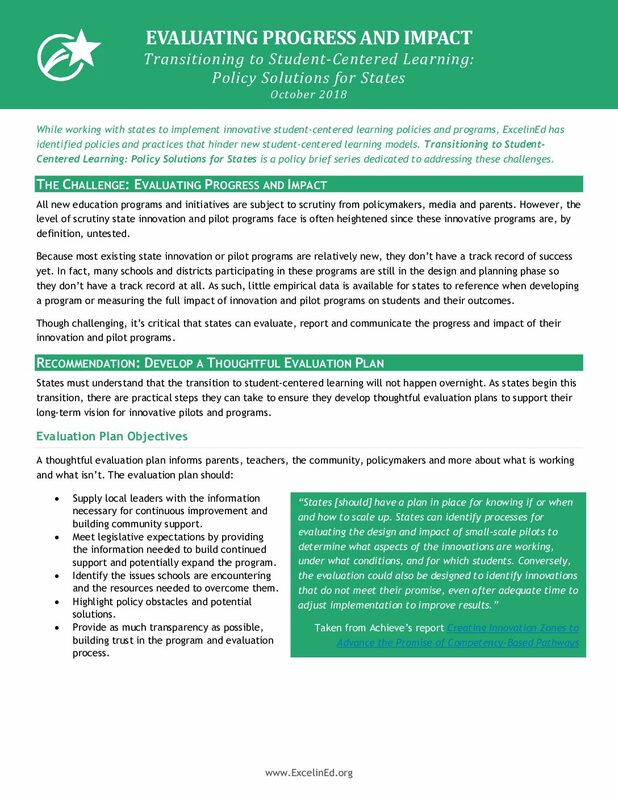 However, these school leaders quickly discover state policies that reinforce seat time become an obstacle to innovative approaches that are more student-centered. Seat-time policies have long tentacles and extend far beyond Carnegie units and credits. Often, state funding for schools is based on the number of hours of instruction a student receives—regardless of how much a student learns during that time. 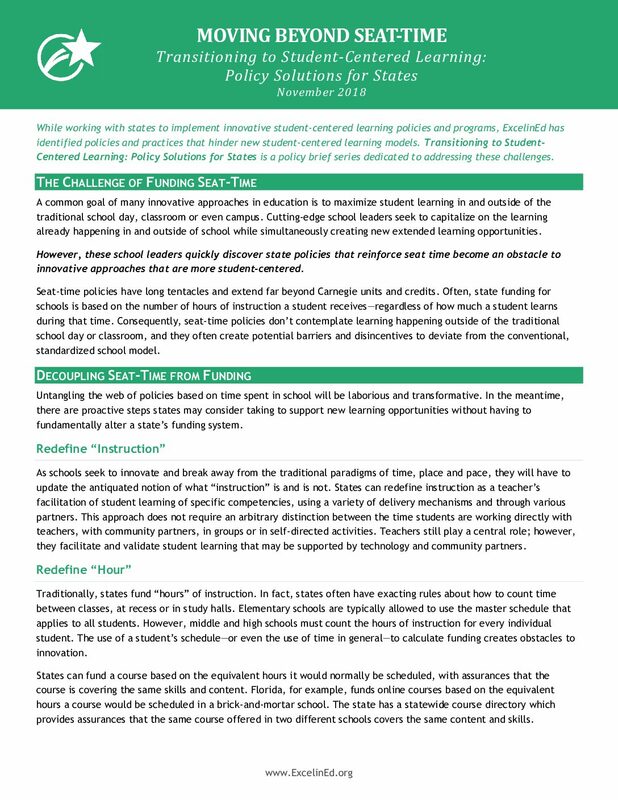 Consequently, seat-time policies don’t contemplate learning happening outside of the traditional school day or classroom, and they often create potential barriers and disincentives to deviate from the conventional, standardized school model. 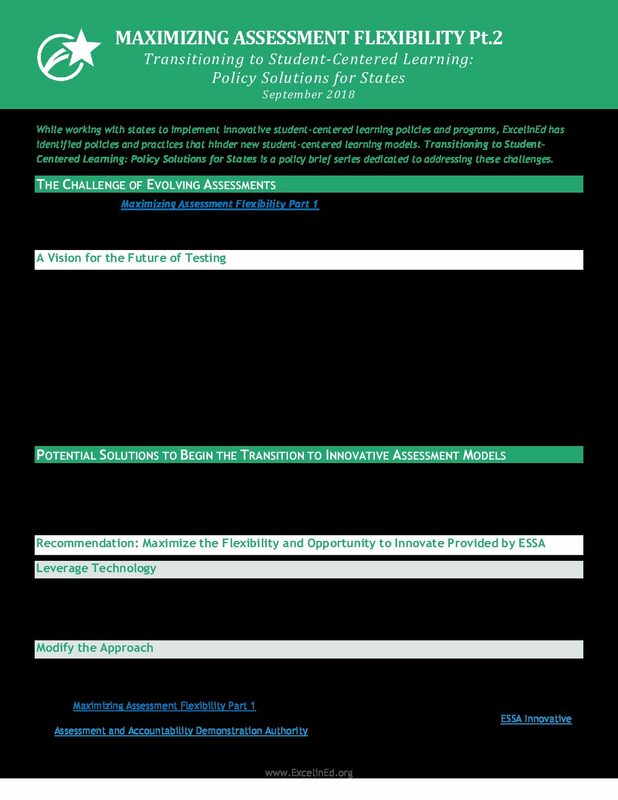 Untangling the web of policies based on time spent in school will be laborious and transformative. 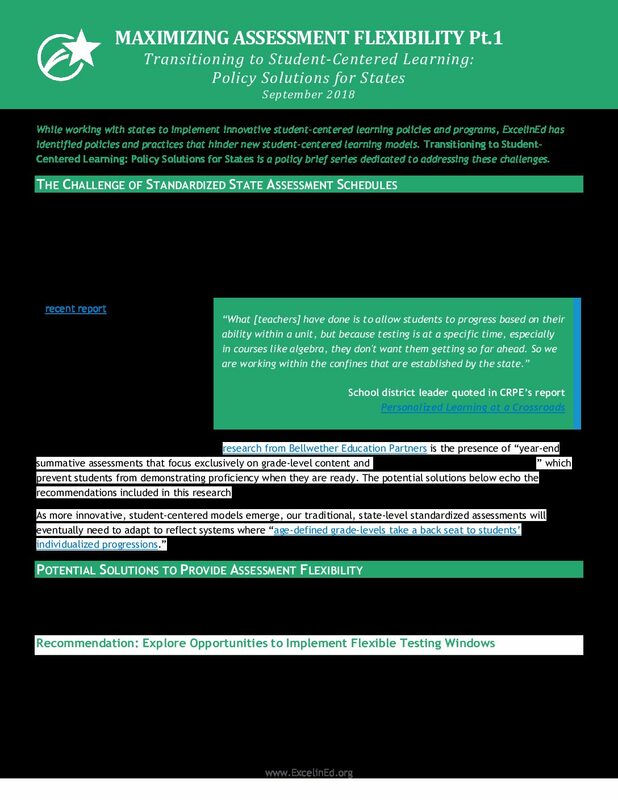 In the meantime, there are proactive steps states may consider taking to support new learning opportunities without having to fundamentally alter a state’s funding system. As schools seek to innovate and break away from the traditional paradigms of time, place and pace, they will have to update the antiquated notion of what “instruction” is and is not. 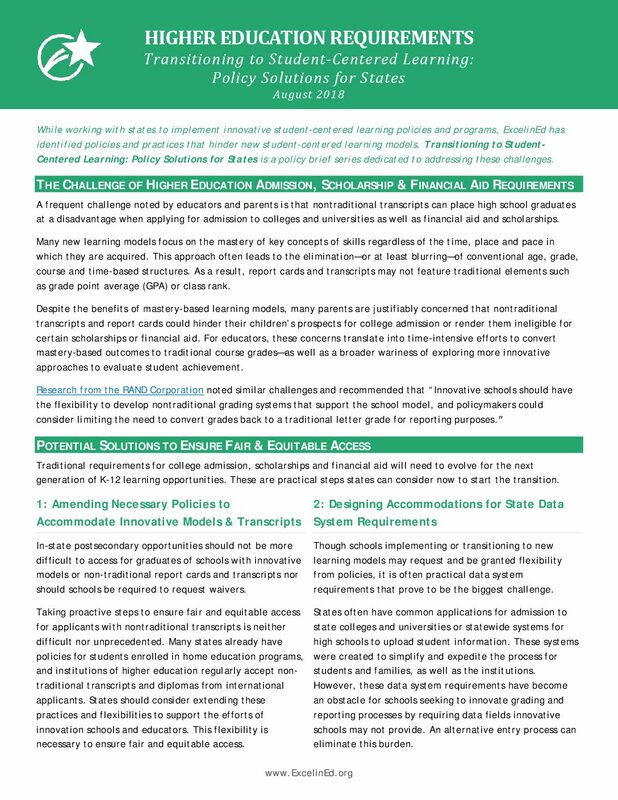 States can redefine instruction as a teacher’s facilitation of student learning of specific competencies, using a variety of delivery mechanisms and through various partners. This approach does not require an arbitrary distinction between the time students are working directly with teachers, with community partners, in groups or in self-directed activities. Teachers still play a central role; however, they facilitate and validate student learning that may be supported by technology and community partners. Traditionally, states fund “hours” of instruction. In fact, states often have exacting rules about how to count time between classes, at recess or in study halls. Elementary schools are typically allowed to use the master schedule that applies to all students. However, middle and high schools must count the hours of instruction for every individual student. The use of a student’s schedule—or even the use of time in general—to calculate funding creates obstacles to innovation. States can fund a course based on the equivalent hours it would normally be scheduled, with assurances that the course is covering the same skills and content. Florida, for example, funds online courses based on the equivalent hours a course would be scheduled in a brick-and-mortar school. The state has a statewide course directory which provides assurances that the same course offered in two different schools covers the same content and skills. Similarly, Colorado allows schools to create an equivalent “bell schedule” for a student in which an online course counts as “if the student were taking the same or similar course offered at a brick and mortar school.” State funding is based on this mock schedule. If a student finishes a traditional course more quickly, states do not provide full funding for that student. Instead, a school must offer the student instruction for the rest of the year to get a full funding amount. Yet, there are extra costs for a student to begin new material mid-year, in terms of providing another teacher or paying for an online course provider. To encourage and support students moving at their own pace and accelerating, states may consider providing additional funding if students finish a course early or take more than a full course load. Idaho, for example, provides more than $4,000 for students to take online courses beyond a full course load. Similarly, New Hampshire pays for students to take extra courses through the state’s online charter school, called Virtual Learning Academy Charter School or VLACS. For more information see, ExcelinEd, Competency-Based Education & School Finance (May 2017).